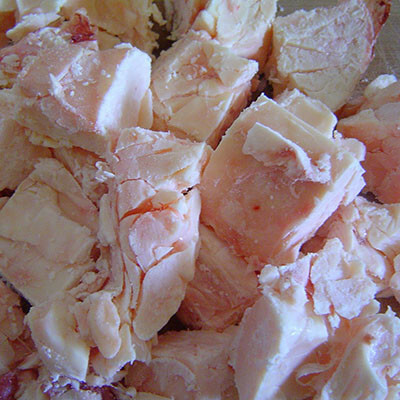 Leaf Fat is the most desired fat for making lard. This is the cleanest fat on the animal as it is the fat that surrounds the kidneys. Lard rendered from this fat is a true bakers delight! Each package is about 2lbs.